How Wide-Spread is Silent Brain Damage in A-Fib Patients? A-Fib patients are at increased risk for cognitive problems and dementia, even in the absence of stroke. But why? Swiss researchers devised a study to determine what causes A-Fib patients to experience more cognitive dysfunction. The Swiss-AF research is an observational study designed to identify the mechanisms of cognitive decline in A-Fib patients. The study enrolled A-Fib patients between 2014 and 2017 from 14 centers in Switzerland. All patients had standardized brain magnetic resonance imaging (MRI). Analyzed were 1,389 A-Fib patients with no history of stroke or transient ischemic attack (TIA). 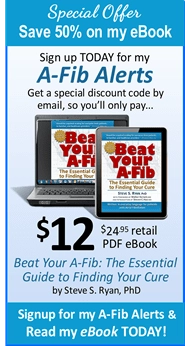 The average age of the A-Fib patients was 72 years. Most (89%) were being treated with oral anticoagulants. The MRI scans showed that 569 (41%) had at least one type of previously unknown (silent) brain damage. Additional analysis incomplete: The patients in this study underwent extensive cognitive testing to determine if patients with silent brain damage also have impaired cognitive function. But this analysis hasn’t been completed. The Swiss-AF research was a small study in one country over four years with 1,389 A-Fib patients. The risk of silent brain damage was found in 4 of 10 A-Fib patients. But the findings are alarming and worth continued research. For A-Fib patients these findings can be frightening―especially for older patients. On top of that, it’s likely further analysis will show ‘cognitive decline’ as well in patients with these types of brain damage. • Seek ways to avoid taking oral anticoagulants, if possible. Intuitively one suspects that anything that causes or increases bleeding in the brain like anticoagulants can be risky and dangerous for older patients. Consider installing a device to close off the Left Atrial Appendage (LAA) where 90%-95% of A-Fib clots originate. 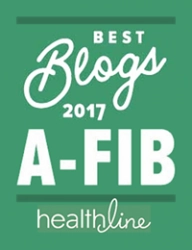 To learn more about how A-Fib patients are at increased risk for cognitive problems and dementia, see my articles: Anticoagulants, Dementia and Atrial Fibrillation and Increased Dementia Risk Caused by A-Fib: 20 Year Study Findings. Conen, David. The Swiss Atrial Fibrillation Cohort (Swiss-AF). A presentation at the European Society of Cardiology Congress 2018, Munich, Germany. August 2018. As reported in the Cardiac Rhythm News, October 18, 2018, Issue 42, p. 14. Conen, David. Hidden AFib Risk. Bottom Line Health. Volume 32, Number 12, December 2018, p.1. Now celebrating its 70th year, the Framingham Heart Study (FHS) is a long-term, ongoing cardiovascular study of residents of the city of Framingham, MA, a small, middle-class community 23 miles west of Boston. Starting in 1948, the objective of the Framingham Heart Study was to identify the common factors that contribute to cardiovascular disease by following its development over a long period of time. Participants would have no overt symptoms of heart disease and not suffered a heart attack or stroke. Today 15,447 people of varying ages, backgrounds and heritage are enrolled including second and third generations. Framingham data resources are available for researchers to use, and those data continue to spur new scientific discoveries. The study data has spawned over 3,600 published studies in medical, peer-reviewed journals. As A-Fib patients, we owe a huge debt to the Framingham participants, doctors, scientists and researchers. With continuation of the Framingham Heart Study, we can expect more research findings about Atrial Fibrillation for years to come. • Wolf PA, et al. Atrial fibrillation as an independent risk factor for stroke: the Framingham Study. Stroke.1991;22:983-988. When I first started researching my A-Fib back in 1998, I kept coming across research studies that credited its data to the Framingham Heart Study. I had no idea how influential the study has been to expanding our understanding of cardiovascular health. The Framingham Heart Study (FHS) is a long-term, ongoing cardiovascular study of residents of the city of Framingham, MA, now celebrating its 70th year. The study was commissioned by the U.S. Congress and had been intended to last for only 20 years. Much of the now-common knowledge concerning heart disease, such as the effects of diet, exercise, smoking, good and bad cholesterol and high blood pressure is based on this longitudinal study. As well as far-reaching programs in stroke and Alzheimer’s. Before the FHS, doctors had little sense of prevention. The study has huge repositories of data, from cell lines and gene sequences to scanned images of the heart, brain, bone and liver. The study began in 1948 with 5,209 adult subjects (mostly white women and men) from Framingham, (about two-thirds of the town) and now has over 14,000 people from three generations. Participants, and their children and grandchildren, voluntarily consented to undergo a detailed medical history, physical examination, and medical tests every two years, creating a wealth of data about physical and mental health, especially about cardiovascular disease. Judie Saltonstall is one of them. She’s a second-generation participant who moved to Arizona 29 years ago and still faithfully logs on to her computer every three months to answer questionnaires and memory quizzes. FHS participants live all over the country and travel back to Framingham whenever needed for exams and tests. The 75-year-old is part of a contingent of FHS participants living all over the country who travel back to Framingham whenever needed for exams and tests. She reels off a list: retina photographs, bone density tests, and MRIs of the brain, heart and abdomen. To study race and heritage in heart factors, The Omni Cohort (1994) asked people of color to volunteer; The Omni Two Cohort (2003) is the 2nd generation. • The Omni Two Cohort, the second generation of Omni Cohort participants (as young as 13 years of age, 2003). It’s been 70 years since a small, middle-class community 23 miles west of Boston became the linchpin in helping to solve the mysteries of heart disease. Framingham data resources are available for researchers to use, and those data continue to spur new scientific discoveries. FHS data has spawned over 3,600 published studies in medical, peer-reviewed journals. (Including many studies about Atrial Fibrillation, heart arrhythmias, and prevention of strokes). The Framingham Heart Study is a joint project of the U.S. National Heart, Lung, and Blood Institute (NHLBI) and Boston University. Learn more at News on Framingham Heart Study. As A-Fib patients, we owe a huge debt to the Framingham participants, doctors, scientists and researchers. Learn about the legacy of the Framingham Heart Study. Includes interviews with participants; current and historical photos and footage. 12:17 min. Go to video. Blacks and Hispanics/Latinos with A-Fib have higher rates of complications and even death as a result of A-Fib. This is despite research which shows that Blacks and Hispanics/Latinos are less likely than Whites to develop Atrial Fibrillation. Although research of A-Fib in minority populations has been limited, researchers think they have unlocked one bit of the mystery. Thanks to the development of a large, diverse registry of patients at the University of Illinois at Chicago, researchers have been studying A-Fib in minority populations. This study is unique because most prior studies on family history and A-Fib relied on data from mostly White populations, leaving doctors with little research to guide personalized treatment in minority communities. A-Fib Registry of Blacks, Hispanics/Latinos and Whites: Of the 664 patients enrolled in UIC’s A-Fib registry at the time of the study, 40 percent were white, 39 percent were black and 21 percent were Latino, according to Dr. Dawood Darbar, professor of medicine and head of cardiology at the UIC College of Medicine. Early-onset A-Fib refers to those younger than 60 years old when diagnosed. Link with Early-Onset A-Fib diagnosis: The researchers found that there was a family history of A-Fib in 49 percent of patients who were diagnosed with early-onset A-Fib (EOAF), that is, in patients younger than 60 years of age―compared with only 22 percent of patients diagnosed with A-Fib later in life. Monitoring First-Degree Relatives: This is the first research-based evidence that supports increased monitoring (even including genetic testing) of families who have first-degree relatives with early-onset A-Fib (EOAF) as a preventive measure against complications including strokes. When broken down by race, the chance of a patient with early-onset A-Fib having a first-degree relative with the condition was more than two-and-a-half times more likely for Blacks and almost 10 times more likely for Latinos, compared with only two-and-a-half times more likely for Whites. “Many people with A-Fib do not know they have the condition until they present to the emergency room with a stroke,” said Dr. Darbar. Hispanics/Latinos with early-onset A-Fib are almost 10 times more likely to have a first-degree relative with A-Fib. For patients diagnosed with early-onset A-Fib, a family history of A-Fib was found in 49 percent of patients. This research holds true across all three races, Whites, Blacks and Hispanics/Latinos. If you have early-onset A-Fib (EOAF), that is, if younger than 60 years old when diagnosed, your family members should be monitored for A-Fib as a preventive measure against complications including stroke. This is especially true for Hispanics/Latinos. Researchers looked at 31,951 veterans with A-Fib. All were over age 75 and newly taking warfarin. The study found that one in 50 of these veterans developed severe bleeding inside the skull. The rate of traumatic intracranial bleeding in this group was higher than previously reported in clinical trials, researchers noted. Dementia in particular doubled the risk of intracranial bleeding. Comorbidities may be a factor: These patients often had other illnesses (comorbidities) such as hypertension 82.5%, coronary artery disease 42.6%, diabetes 33.8% and chronic obstructive pulmonary disease 25.5%. Many of these patients also had dementia and depression. Dementia, in particular, doubled the risk of intracranial bleeding (possibly because cerebral amyloid angiopathy increases bleeding risk). There’s one bit of good news. While the rates of ischemic stroke and intracranial bleeding in this study were similar, not all intracranial bleeds were traumatic. Older patients with A-Fib are between a rock and a hard place. On one hand, if you take warfarin, you reduce your risk of an ischemic stroke. But on the other hand, if taking warfarin, you may get brain bleeds which can kill you or cause dementia. While we don’t have a guaranteed method of preventing A-Fib-related strokes, here are two options to avoid a lifetime of taking warfarin (or another anticoagulant). • Close off your Left Atrial Appendage (LAA). This is the origin of 90%-95% of ischemic clots. LAA closure is a recognized alternative to having to take anticoagulants. Some say it’s an improvement rather than an alternative to anticoagulants. Be advised that warfarin greatly reduces but doesn’t totally eliminate stroke risk in A-Fib. On a personal note, a close friend of ours with A-Fib was in the correct range of her INR testing (2.5) when she had a massive ischemic stroke that paralyzed her left side. It breaks our hearts when we visit and have dinner with her to see food dripping from the left side of her mouth. But happily, her thinking and communication skills are still good. For additional readings, see Watchman Better Than Warfarin and Anticoagulants Increase Hemorrhagic Stroke Risk. Dodson, JA et al. Incidence and Determinants of Traumatic Intracranial Bleeding Among Older Veterans Receiving Warfarin for Atrial Fibrillation. JAMA Cardiol. 2016 Apr 1; 1(1): 65-72. https://www.ncbi.nlm.nih.gov/pmc/articles/PMC5600874/ doi: 10.1001/jamacardio.2015.0345. The Watchman is an occlusion device that closes off the Left Atrial Appendage (LAA) to prevent clots from getting into the heart. For those with A-Fib, 90%–95% of clots and strokes come from the LAA. The Watchman device is considered an alternative or an improvement to a lifetime of taking anticoagulants including warfarin and the NOACs. See Watchman Alternative to Coumadin and Watchman Better Than Warfarin. A new meta-analysis of clinical trials and registries of the Watchman device is believed to be the largest to date of Device-Related Thrombi (blood clot) following left atrial appendage closure. The study shows that in about 3.7 percent of patients a blood clot forms on a metal screw on the face of the device. The clot can form many months, even a year after installation. “While not frequent, when present, thrombus on the face of an LAA occluder is associated with a high rate of ischemic stroke,” said study presenter Vivek Y. Reddy of Mount Sinai Hospital in New York City. (Dr. Reddy was one of the original investigators of the Watchman clinical trials.) These findings were presented at the 2018 Heart Rhythm Society meeting. Device-related thrombi (DRTs) are troublesome because they increase the risk of ischemic stroke by over 3 fold. However, no significant association with mortality emerged. This risk, Dr. Reddy said, calls for aggressive management of patients at risk for device-related blood clots. To better understand the mechanism of stroke after LAA closure, Dr. Vivek Reddy and his colleagues, looked at the incidence, predictors and clinical outcomes of device-related thrombus (DRT). The meta-analysis study looked at data on 1,739 patients who were successfully implanted with the Watchman device as part of four prior clinical studies. Patient follow-ups included a transesophageal echocardiography (TEE). Findings: Among those patients receiving a Watchman, the investigators found 65 patients (3.74%) had DRT. Most were detected after anticoagulation had been discontinued at 45 days post-insertion. Some DRTs first showed up at the 1-year TEE. Dr. Reddy reported that despite these findings, a majority of Watchman patients with an identified DRT (74% of the 65 patients) did not have a stroke. And in Watchman patients who did have stroke, 87% occurred in the absence of a DRT. Implications: There is a strong case for rethinking the timing of planned follow-up TEE examinations of Watchman patients. The standard protocol is a TEE at 45 days after placement, when routine anticoagulation usually stops, and then a second TEE 12 months after placement. Dr. Reddy suggests a better schedule might be to perform the first TEE at 3-4 months after placement when oral anticoagulant therapy stops. This gives time for a potential DRT to form. “Prevention and management of DRT may require that each [Watchman] patient receive a tailored regimen of anticoagulation and surveillance,” said B. De Lurgio, MD, a cardiac electrophysiologist at Emory Healthcare commenting on Reddy’s report. If you have a Watchman device, you and your EP should discuss “aggressive surveillance” to find any clots on the face of your Watchman. Usually these can be resolved by taking a course of anticoagulants. With no metal involved, another occlusion device is the Lariat II noose-like device which is slipped around the LAA. This ‘lasso’ is then tightened, and eventually the tissue dies and shrivels up (like a grape into a raisin). But there has been a reported problem with the Lariat, too. For more on the Lariat see my article: Alert: Patients with Lariat Device for Left Atrial Appendage Closure. A Challenge to Install: Compared to the Watchman, the Lariat is more challenging to install and is currently used less often than the Watchman. Not all EPs install and have experience with the Lariat II. You may need to do research to find an EP experienced and good at installing the Lariat. For more about the Lariat, see Lariat II Suture to Close the Left Atrial Appendage. Clots can form on any foreign body as well as inside the heart. Comparing stroke risks: In cases where no treatment was applied (neither anticoagulants nor the Watchman), the overall ischemic stroke rate is 6.0% per year. Contrast that 6% rate to the stroke rates of 1.77% per year in people with the Watchman device and 1.71% per year for those on oral anticoagulation. The Watchman is still a viable option against stroke risk. Tracking prescription drug use from 1999 to 2012 through a large national survey, Harvard researchers reported that 39 percent of those over age 65 now use five or more medications— a 70 percent increase over the 12 years tracking period. “Polypharmacy” is the term for prescribing patients five or more medications at the same time (even if all are given for legitimate reasons). This often happens when a person has many chronic diseases, such as diabetes, high blood pressure and heart disease, each requiring long-term treatment with medications. First, drugs are chemicals that can interact with one another with the potential to cause all kinds of complications (versus if you take just one medication). Polypharmacy contributes to higher rates of hospitalizations and death, and higher costs. For example, an anti-inflammatory medication like Ibuprofen (Advil, Motrin, Midol, Nuprin), may increase blood pressure and worsen kidney function. Therefore they should not be used by persons with high blood pressure or kidney problems. Next, as we age, the kidneys and liver become less efficient in passing medications out of the body. The lingering drugs can magnifying their effects as well as have side effects. Should You Be Prescribed Fewer Drugs? Some people outgrow their medication. They change their lifestyle (ex. diet, physical activity, and weight loss) and subsequently may no longer need medications for diabetes, cholesterol or high blood pressure. But they keep taking them, because no one told them to stop. To ‘deprescribe’ a drug is not as simple as saying “stop”. It’s a process requiring caution and skill by your doctor. As a service to atrial fibrillation patients, we offer Free Reports, Worksheets and Downloads of our own worksheets and articles and useful free services or downloads from others serving the atrial fibrillation community. Inventory List of Your Medications: We want to help you keep your doctor and other healthcare providers up-to-date on all the medications you are taking by using this Medications List from Alere. Download and use to help you keep track of everything (including over-the-counter drugs, vitamins, herbs and mineral supplements, too). Remember to save the PDF to your hard drive. Because your medications will change over time, print several copies of the blank form so you will always have a clean copy ready to use. (Keep in your A-Fib file or binder.) Give a copy to each of your doctors or other medical healthcare providers. • Jou J, Johnson PJ. Non-disclosure of complementary and alternative medicine (CAM) use to usual care providers: Findings from the 2012 National Health Interview Survey. JAMA Intern Med. 2016.Apr;176(4):545-6. doi: 10.1001/jamainternmed.2015.8593. PubMed PMID: 26999670. It’s well reported that African Americans have a lower risk of developing A-Fib as compared to Caucasians. But it’s a different story regarding strokes. A new study has found that compared with whites, blacks are at increased risk of developing an ischemic stroke either before or after a diagnosis of atrial fibrillation (A-Fib). A new University of Pennsylvania study found that such strokes may occur even before the patient is aware of having the heart-rhythm problem, and that this risk is higher for black patients. In many cases, the stroke was the red flag that led to the patient’s A-Fib diagnosis. Heart disease tends to occur earlier in African American patients than in white counterparts. The death rate from heart-related causes is higher, too, largely due to a higher rate of heart attacks, sudden cardiac arrest, heart failure, and stroke, according to the American Heart Association. Researchers used a centralized pool of patient data from across the University of Pennsylvania Health System, which was comprised of 56,835 patients without a history of atrial fibrillation or a remote history of stroke. Of these patients, the authors identified 3,507 patients who developed A-Fib. Upon diagnosis, they checked each patient’s medical history for the prior six months to document any history of stroke. Going forward, the authors monitored these A-Fib patients for strokes for a median of 3.6 years. Unique Design: The study design was unique in that researchers had a time point that represented the initial diagnosis of atrial fibrillation. This approach provided an opportunity to examine the risk of stroke during a six-month period prior to a formal, clinical diagnosis of atrial fibrillation. Until now, no prior study has examined stroke risk in this period prior to a diagnosis of atrial fibrillation. Out of 538 strokes occurring in the study periods, nearly half, 254, occurred before diagnosis with atrial fibrillation. The authors suspect that in many of those 254 cases, the patients already had A-Fib but were undiagnosed. Prior Six Months Findings: For the strokes that occurred in the six months before A-Fib diagnosis, the rate in black patients was about one-third higher than the rate in white patients. Findings after A-Fib Diagnosis: For the strokes that occurred in the years following an A-Fib diagnosis, the rate in black patients was two-thirds higher than in white patients — a 2.5 percent chance of stroke per year in black patients compared with a 1.5 percent chance for whites. Blood-Thinning Medicines: The increased stroke risk for black patients (with A-Fib) was especially high among those who did not have prescriptions for blood-thinning medicines (i.e., warfarin or NOACs). It’s well reported that African Americans have a lower risk of developing A-Fib as compared to Caucasians. But until now, there was little data on the additional risks that come with A-Fib for each race. The new findings build on previous studies examining the impact of race on the risk of developing atrial fibrillation. “Most strokes in African Americans occur due to high blood pressure, and a much higher number of African Americans have uncontrolled blood pressure. A quarter of all strokes occur in the presence of atrial fibrillation (a fib). And while representing 13 percent of the US population, African Americans experience almost twice that percentage of all strokes (26%). A-Fib Stroke Risk Greater for Blacks: This is obviously a very important study for black patients. If you’re African American, you have less chance of developing A-Fib. Blacks have almost twice the percentage of all strokes (26%) while making up only 13% of the U.S. population. But if you do develop A-Fib, your stroke risk is much greater than for Caucasians. As Dr. Hall points out, African Americans experience almost twice the percentage of all strokes (26%) while making up only 13% of the U.S. population. “Silent” A-Fib Stroke Risk Greater for Blacks: An even more disturbing fact is that in this study, half of the strokes occurred before an African American patient was diagnosed with A-Fib. Silent A-Fib is a danger for all A-Fib patients, but the stroke risk was nearly one-third higher in black patients. Blacks Urgently Need Monitoring for Silent A-Fib: Most strokes in African Americans occur because of high blood pressure which is more prevalent in blacks. But from a public health aspect, it’s even more important to test black patients for silent A-Fib. Monitoring for silent A-Fib needs to become Standard Operating Procedure for blacks reaching middle age. If you are African American, you should be monitored or get yourself a DIY A-Fib monitor to make sure you don’t have silent A-Fib. Patel PJ, et al. Race and stroke in an atrial fibrillation inception cohort: findings from the Penn Atrial Fibrillation Free study [published online February 19, 2018]. Heart Rhythm. doi:10.1016/j.hrthm.2017.11.025. Does Size Matter? What’s the Size of Your Left Atrium? When in A-Fib, your left atrium has to work harder than normal and tends to stretch and dilate over time. Thus, an enlarged heart, specifically your left atrium, can be one symptom of living with Atrial Fibrillation. Other contributors to an enlarged left atrium are obstructive sleep apnea (OSA) and high blood pressure. Also, people with a naturally large or tall body size often have an enlarged left atrium (ELA). One study showed that Persistent A-Fib was associated with left atrium size (but not the number of years that a patient had A-Fib). Left atrium size is a predictor of mortality due to cardiovascular issues. An enlarged left atrium can be diagnosed and measured using an echocardiogram (ECHO). A normal left atrium measures around 2.0-4.0 cm (20 mm–40 mm). Ranges: Left atrial enlargement can be mild, moderate or severe depending on the extent of the underlying condition. Note: Measurement of the volume is preferred over a single linear dimension since enlargement can be different for different directions. If you’ve had A-Fib for a while with significant symptoms, we often advise you to ask your doctor for this measurement to see if your left atrium is being enlarged. It will be described in either centimeters (i.e. 2.0 cm) or millimeters (i.e. 20 mm). Store this info with your other A-Fib test results and other papers in your A-Fib Binder or folder. This will be your benchmark for future comparison. Background: Of late we’ve written a lot about A-Fib stroke and the risk of Ischemic stroke which occurs when a clot blocks an artery to the brain. While it is by far the most common kind of stroke among A-Fib patients, there is another type of stroke threat, an Intracerebral Hemorrhagic stroke. An ICH stroke is caused by a leaked or ruptured blood vessel in the brain. Although less common in A-Fib patients, an ICH stroke can be just as devastating, even deadly. For A-Fib patients, anticoagulants are used for the prevention of clots and stroke. But according to Dr. M. Edip Gurol, anticoagulants may actually increase the risk of Intracerebral Hemorrhagic (ICH) stroke. While Intracerebral Hemorrhagic (ICH) stroke is less common than Ischemic stroke, it is a more deadly and disabling type of stroke. Although accounting for only 15 percent of all strokes, hemorrhagic strokes are responsible for about 40 percent of all stroke deaths. Dr. M. Edip Gurol’s comments are published in the March 18, 2018 issue Cardiac Rhythm News. A stroke neurologist specialist at Mass. General Hospital, he has a particular expertise in the care of patients at high risk for ischaemic (blockage type) strokes and haemorrhages. According to Dr. Gurol, over 50% of patients sustaining a warfarin-related intracerebral hemorrhagic [ICH] stroke die within the first three months. Are the outcomes any better for patients on the newer NOACs (New Oral Anticoagulants) who have an ICH? No, the outcomes are just as dismal, similar to patients having a warfarin-related ICH stroke. Growing evidence suggests a link between cerebral microbleeds (small chronic brain hemorrhages of the small vessels of the brain) and increased risk of intracerebral hemorrhage stroke (ICH). This has led to concerns about the safety of administering anticoaglulant drugs in patients with cerebral microbleeds (CMBs). LEFT: Brain MRIs of two microbleeds in the same older adult with A-Fib taking an NOAC (red arrows point to tiny microbleed dots). RIGHT: Two years later, the patient had a hemorrhagic stroke and died. The right MRI shows the fatal hemorrhage. How Common are Cerebral Microbleeds? Long-term research studies using Magnetic Resonance Imaging (MRIs), show cerebral microbleeds are already present at middle age and their prevalence rises strongly with increasing age. Microbleeds rarely disappear. One recent MRI study found evidence of microbleeds in 99% of subjects aged 65 or older, and that increasing the imaging strength increased the number of detectable microbleeds. Should A-Fib patients over age 65 be taking anticoagulants for the rest of their lives? According to Dr. Gurol and his research, probably not. In the decades-long population-based Rotterdam Study, the risk of intracerebral hemorrhage stroke was found to increase as the number of microbleeds increased. Since almost everyone over age 65 has microbleeds, it’s all too easy for long-term anticoagulants to expand those microbleeds into full blown Intracerebral hemorrhagic strokes (ICHs). Are There Alternatives to a Lifetime on Anticoagulants? Yes, there are alternatives to having to take anticoagulants for the rest of your life. Read my articles: Watchman Better Than Warfarin and Are Anticoagulants Risky if Over Age 65? 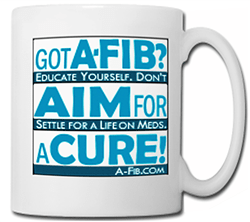 Or…get your A-Fib cured so you don’t need to take an anticoagulant at all. Janaway BM, et al. Brain haemosiderin in older people: pathological evidence for an ischaemic origin of magnetic resonance imaging (MRI) microbleeds. Neuropathol Appl Neurobiol. 2014 Apr;40(3):258-69. Akoudad, S., et al Cerebral Microbleeds are Associated With an Increased Risk of Stroke: The Rotterdam Study. Circulation. 2015;CIRCULATIONAHA.115.016261. https://doi.org/10.1161/CIRCULATIONAHA.115.016261. Poels MM, et al.Prevalence and risk factors of cerebral microbleeds: an update of the Rotterdam scan study. Stroke. 2010 Oct;41(10 Suppl):S103-6. doi: 10.1161/STROKEAHA.110.595181. PubMed PMID: 20876479. PODCAST: Marijuana—Good, Bad or Ugly for Patients with Atrial Fibrillation? Note: If you prefer to read instead of listening to the audio, click below on the transcript graphic bar to roll down the printed version. ♥ Clinical data on marijuana and atrial fibrillation is limited and is often anecdotal at this point. ♥ A-Fib patients experience run the gambit, it helps some, for others it puts them into A-Fib. ♥ General research: smoking marijuana might lead to the development of A-Fib; may affect the cardiovascular system; few confirming studies. ♥ For A-Fib, the best form is probably CBD in edible form. ♥ An unpublished study of 6 million heart failure patients: Non-dependentvmarijuana were 18% less likely to develop A-Fib; Dependent marijuana users were 31% less likely to experience A-Fib. Into: The host of this podcast is not a medical doctor. The information provided is not intended nor implied to be a substitute for professional medical advice. Always seek the advice of your physician prior to starting any new treatment or with any questions you have regarding a medical condition. Now on to the show. 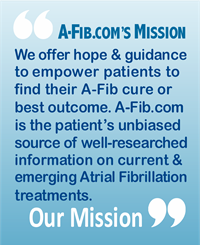 Welcome to the Afib podcast, where we provide information, inspiration, and support for afibbers. And now your host, Travis Van Slooten. Travis Van Slooten: I have a special guest for this episode of the afib podcast. His name is Dr. Steve Ryan. Steve is a former afib patient who was cured of his afib back in April 1998 via catheter ablation. 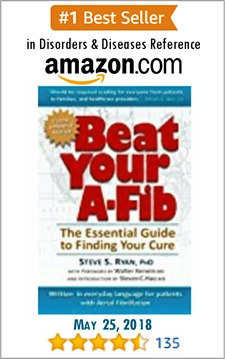 He’s a publisher of one of the most popular afib websites, a-fib.com and he’s the author of the best-selling book Beat Your A-Fib: The Essential Guide to Finding Your Cure. In this episode Steve and I discussed the topic of marijuana use and atrial fibrillation. We discuss recreational pot smoking versus medical marijuana and how many marijuana may or may not be beneficial for people with afib. So without further ado, let’s roll the tape. All right, Steve, so I want to talk to you about something that it was a very interesting topic that I honestly had not thought about before. I got an email from one of my readers who wanted to know if it was safe to smoke marijuana while they had afib. First I thought this has got to be some kind of a joke because I honestly had never thought about this before, but it makes sense, you know, recreational marijuana is definitely becoming a morbid thing, it’s currently legal in nine states, and medical marijuana use is legal in 29 States. So I found an article on your site, Steve, that you just recently wrote about this very topic, marijuana use and afib. And in that article you had discussed a little bit about the differences of recreational marijuana and the prescription form of marijuana which is called marinol, and you kind of discussed that there was some key differences between these two. So what are the differences between the two? . Steve Ryan: Travis, I apologize that we do not have a lot of clinical data on this subject simply because it’s so new and the answers I give aren’t going to be definitive, but we’re doing the best we can with the information that we have. The marinol is the prescription form of cannabis, and the makers of it have a blanket disclaimer saying “Don’t use this with any kind of heart problem…” you know, it’s kind of legal thing. They haven’t done any clinical studies on this subject to say that but they’re just protecting themselves. There have been some research saying that smoking marijuana might lead to the development of afib and it may affect the cardiovascular system, but this is general data without a whole lot of really hard studies indicating that. Now, what I’ve done on our website is – since I don’t know enough about it to really give a definitive answer – I have asked people to tell me their experiences and they vary all across the board. Some say that this is the best thing I’ve ever taken, some people say as soon as I start smoking marijuana I get afib. Now, the reason for that might be the different in the pot they’re smoking or the edibles they’re taking. THC is a component found in the marijuana plant stavia. That’s what makes you feel high.There is a CBD is a component found in the marijuana plant indica. That works better to reduce pain and anxiety and induce sleep. Now the problem is the manufacturers of pot – every state has their own little companies, and some produce CBD and a tincture and an oil, in edibles; but some just mix it all together and it’s really hard depending on the state to find something that is just CBD that you can use to get rid of anxiety and get to sleep, that kind of thing. Now what is the best product for afib patients? Probably CBD in edible form. Smoking marijuana unfortunately produces a lot of problem just like smoking does because there are a lot of bad things in the cigarette smoke as there is in the marijuana smoke. So people tend to want to use marijuana for medical purposes, they’re probably better off using an edible form with more CBD and THC. Does that make any sense? Travis Van Slooten: Yeah, absolutely. I mean looking at again that article you wrote and I’ll link to it here to in the show notes so people can reference it. If they have experience smoking marijuana or taking it medically, they can surely reach out to you and share their experience with it. But as I look at your article you do have some anecdotal stories there, and it doesn’t seem that the few that are there that I’ve had that experiences with it were people smoking it. And one of the gentleman that wrote, a guy named Jim, said that it was like a life savior for him, but again, he was taking the medical prescription form of it, so that seems to back up kind of what we’re talking here. Steve Ryan: Yeah. He has a great statement. He’s the guy who is very under a lot of stress, he has his own business. He comes home at night and his brain was throbbing on a mile a minute and he couldn’t get to sleep. So he use marijuana edibles and the stress goes right away and he seems to sleep very well at night. Just to be honest with you, I’m also some kind of like him. I’m very wound, very tight. Travis Van Slooten: You’re a Type A? Steve Ryan: I tend to think of all of the things about afib. I’m thinking about, you know… And to tell you the truth, I take edible marijuana and it gets me really relaxed and I go right to sleep. Travis Van Slooten: Let’s talk about— for people that aren’t familiar with medical marijuana, I am one of those, by the way, I know nothing about this stuff which is why I find it so fascinating, but when we talk edibles, like, what is it? Is it literally like a brownie, a piece of cake? Is it like a gum? I mean what is it? When you say edible, what is it? Steve Ryan: There are a lot of different products, and unfortunately every state has their own different companies. We don’t have companies that are nation-wide to put out a standard product, but a lot of them are like a brownie that comes in a package like a cookie. It comes in like 100 mg and you cut it into 10 mg slices. To me that’s a pain, but a lot of people use that. Another way is they have product like this one product is blueberry based. They make the marijuana in with blueberries and you just take one, and one is 5 mg and I usually take two at night. Other forms, let see, brownies. Travis Van Slooten: You mentioned a tincture based. That isn’t edible but that’s a different form. Steve Ryan: Yeah, the way they do with that is they develop a tincture with CBD in an oil, and you put it on your body and let it absorb into your body, and that’s another… I’ve never tried that. I have no idea how well that works or how good it is. Travis Van Slooten: And that tincture that isn’t something you… You don’t put it in your mouth; you put it on your skin. Steve Ryan: Yeah, you put it on your skin. But again, I am not an expert in this field and we’re just doing the best we can with little knowledge that we have, and I beg all the listeners to be aware that this is not something that is definitive and written in stone and this is the way to go. Everything I say may completely change when we get more information on medical marijuana. Travis Van Slooten: Yeah, absolutely. Like you said, I think it’s just starting to explode right now. Do you know, are there any studies underway right now? Do you know of any? Steve Ryan: Well, there was a really interesting study that just came out where they studied patients with heart failure. And what they found was that– first of all, patients with heart failure are really in deep doo-doo, we’re talking like an ejection fraction of like low or below 35% normally is 50 to 75. These patients, if they have really serious heart failure it’s like they’re suffocating to death. It’s a terrible way to go if you’re ill and you have congestive heart failure, you just feel terrible from what I understand. I’ve never had it. So what they did was they followed 6 million in US hospitals with heart failure. About 1200 used and depended on marijuana. About 2300 used marijuana, but were not depended on it. So the non-dependent marijuana users were 18% less likely to develop afib. And the dependent users were 31% less likely to experience afib. Now what that means is that marijuana prevented these patients who had heart failure from developing afib. Now, why is that important? Basically a combination of heart failure and afib is a killer. One is bad, two together like that is much worse. These people are much more apt to die, and marijuana basically prevented these people from developing afib even though they had heart failure. This is really big news because sure, now we’re applying it to heart failure, but what about normal people, would marijuana prevent them from developing afib? We don’t know. But the study indicate that. In study would say definitely that anyone who has heart failure should consider marijuana use in some form because it does seem to prevent them from going into a atrial fibrillation. Now can we go further and say everybody should smoke marijuana to prevent them from developing afib? No, we can’t say that. Steve Ryan: I don’t have it on hand but there would probably be some indication of that, and I’d have to look that up and maybe get back to you. Those are some good questions. But you know, in general they usually do these things it’s usually 10 mg a day. That’s a general rule of thumb. But again, I don’t really know the specifics. But people who are dependent, those are probably smokers, and they were probably doing much more smoking of pot than the other group. That worked for them and prevented them from developing afib more so than the other people. Steve Ryan: Since this is done between 2007 and 2014 we can assume they were smokers. Travis Van Slooten: And that to me is kind of promising because it’s saying — of course, that leads to more questions, right? Because what’s more effective, the recreational smoking pot or the medical form of it, you know, like the edibles? I mean all these things are still — we have no idea here. Steve Ryan: We just don’t know yet, we just don’t know. Another part of this study that was interesting was people using marijuana were 46% less likely, and dependent users 58% less likely to die in the hospital. Now that’s good news because one of the main problems with afib is you’re in the hospital so often, and that’s really good news and something that is worth looking into. By the way, this study that I’m talking about hasn’t been published yet. Travis Van Slooten: Oh, it hasn’t, okay. Steve Ryan: So that’s why we don’t have the information on all the details of the study. As soon as the study get published we’ll get that information. Travis Van Slooten: That’s good to know in case someone is listening this and they’re trying to Google this they’re not going to find it right now.
. Steve Ryan: Yeah, right, I don’t think so. Travis Van Slooten: So the bottom line with this topic then is what’s your bottom line message to someone that would pose that question that was posed to me which is, “Hey, I have afib and I smoke pot, is this good or bad?” Mypersonal response to them Steve is kind of what you said Steve “We don’t know much of anything on this topic right now because it’s kind of so new.” And the other thing is I just told them I would approach it kind of like smoking or drinking; that it’s probably not best to do it heavily on a regular basis. And more importantly, if you smoke pot and you have an episode that’s probably an indication that’s a trigger so you should probably avoid it. But likewise if you are a moderate smoker and it seems to keep your afib episode at bay, then it might be okay to continue to smoke. That was kind of the way I handled it. Is that kind of the way you handle that answer or that question is well? Travis Van Slooten: Okay, the obvious trigger. Steve Ryan: Yeah, and Jonathan writes “I tried a tiny bit of brownie for the first time since being diagnosed with afib. It was okay until about two hours later. I went into afib and a bit later came the closest I ever have to blacking out. I don’t think it’s for me anymore.” On the other hand, Jim writes that he uses it every night and it work for him fine. Travis Van Slooten: Yeah, so it kind of gets back to the whole what’s trigger, what’s not. And so yeah, I think it’s all fascinating. Definitely I think this is going to become more and more of an issue as I said in the opening here with the marijuana legalization kind of sweeping across the country here. This is going to become a very hot topic, I think. Travis Van Slooten: Well, Steve, I just want to thank you for your time to discuss this topic, and I look forward to talking to you in the next week’s episode. We’re going to be talking about the real cost of living with afib. So Steve, thanks again for your time. 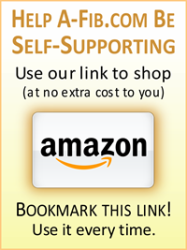 Outro: Thanks for listening to the podcast.Be sure to visit livingwithatrialfibrillation.com for more information, inspiration and support. Be well, and please join us next time. The prevalence of dementia and atrial fibrillation (A-Fib) are both on the rise with the aging population and increasing burden of vascular risk factors. The association between A-Fib and dementia is well documented. To describe that relationship, researchers use the term “strongly associated” rather than explicitly state that A-Fib causes or leads to dementia. That’s as far as they can go, because there might be other factors at play. Patients with A-Fib lose 15%-30% of their heart’s ability to pump blood to their brain, and to the rest of their body. Research confirms that older adults with dementia had significantly reduced blood flow into the brain compared with older adults with normal brain function or young adults. A Swedish study investigated the effect of anticoagulation on the development of dementia among A-Fib patients. Research data was collected on patients diagnosed with and treated for A-Fib in Sweden between 2006-2014. This included 444,106 patients, and over 1.5 million patient-years. The retrospective registry study compared the incidence of dementia developed in A-Fib patients with and without ongoing anticoagulation with warfarin or direct oral anticoagulation (DOAC) (i.e. dabigatran, rivaroxaban, apixaban and edoxaban). This study of A-Fib patients found that anticoagulant treatment was associated with a 29% reduced risk of dementia. There was no difference in dementia risk between patients treated with warfarin and those treated with direct oral anticoagulants. It’s encouraging to know that, if you have A-Fib and must take anticoagulants, they may reduce dementia to a limited degree. The authors concluded that the risk of dementia is higher among A-Fib patients not treated with anticoagulation. In fact, absence of anticoagulation treatment was among the strongest predictors for dementia along with age, Parkinson’s Disease, and alcohol abuse. This study did not tell us how anticoagulation achieves this effect. Some speculate that anticoagulants, while preventing macro-clots (strokes), also prevent or reduce micro-clots and smaller ischemic events which damage the brain over time. This study also raises another reason not to live in A-Fib if at all possible. Unlike macro-clots which cause strokes and which can kill or severely disable, A-Fib tends to produce micro-clots (smaller ischemic events or silent mini-strokes). The effect of micro-clots may not even be noticeable but, nonetheless, damages our brains over time. • Friberg l, Rosenqvist M. Summary by Geoffrey Barnes. Less Dementia With Oral Anticoagulation in Atrial Fibrillation. American College of Cardiology, Oct. 26, 2017. http://www.acc.org/latest-in-cardiology/journal-scans/2017/10/26/15/38/less-dementia-with-oral-anticoagulation-in-atrial-fibrillation.